I had a great time at the Dublin Literacy Conference back in February. I saw a couple of old friends, Karen and Bill from the Literate Lives blog, and finally met two women I’ve known almost exclusively through their terrific blog, A Year in Reading, Franki Sibberson and Mary Lee Hahn. You can’t talk to either Franki or Mary Lee for long before you are promising to read a book or two that they absolutely loved. These are the ones that sounded most interesting to me . . . 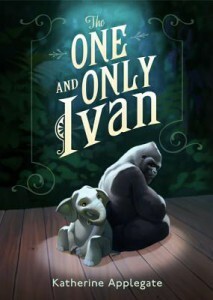 The One and Only Ivan, by Katherine Applegate. 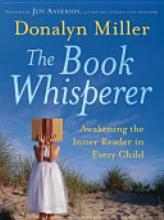 I also heard a morning keynote speech from Donalyn Miller, The Book Whisperer. She was terrific and inspiring, and an expert on building a classroom community of voracious readers. Boys, girls, whoever walks into the room. 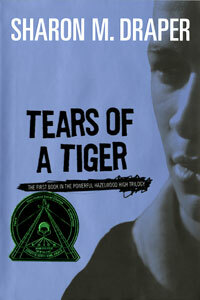 Many teachers told me that Donalyn’s professional book was excellent — fast, accessible, illuminating, and motivating. So that was cool, meeting her. Riding in a car with Donalyn in the back seat. We didn’t get much of a chance to talk, pulled in different directions, always seated at different tables, but it was a pleasure to become aware of her, sit in the auditorium and hear Donalyn’s thoughts, humor, and classroom-earned wisdom. The pedagogical stuff was solid, but she really won me over when she talked about specific students in her classroom, these small laser-like observations, like the boy who informed her that he did not read any books the previous year, except this: “I think I might have read Hatchet.” He wasn’t sure. At those points in her talk, I recognized that Donalyn knew these kids, stone-cold knew 6th-graders, and that she loved them. I was sold. At lunch, Sharon Draper was the keynote speaker. Sharon is a force of nature, strong and lively and confident and outspoken, a woman to be reckoned with. My daughter has already read Out of Mind, so I brought home a copy of this book for my 7th grade son, and he’s reading it now. My most unexpected pleasure came from a young woman I met. We got to talking, she was there to make a presentation, and I slowly realized that this was, holy wow, Ruth Ayres from the fabulous Two Writing Teachers blog. I guess I didn’t figure she’d know me, or care, but she did. Anyway, anyway. Ruth and Staci (the other writing teacher) do a “Slice of Life” Challenge through their blog. This is their fifth year, so it’s a slick presentation, there’s even a button thingy you can download or whatever, way beyond the capabilities of this bargain basement blog. Essentially, they invite teachers (and readers in general) to put their money where their mouths are. If you are going to teach writing, then write. And share it. And enjoy it. By the way, Donalyn was on a parallel mission, calling on teachers . . . to read. It’s obvious, but there you go. A lot of teachers, for valid reasons, feel too busy to read. But even so: Read. No excuses. To me, I’ve always maintained that teaching = enthusiasm transferred. You want them to catch the reading fever? It helps if you’ve already got the bug. Next week I’ll share one slice of life from my visit, because I had a great encounter in a hot tub. I can’t wait to read your slice — what a teaser you’ve left here. 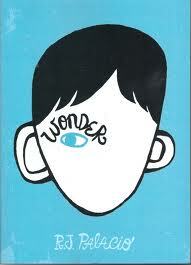 AND, I read WONDER — it is exceptional. 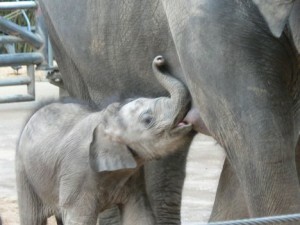 Glad to see you’ll have your nose in it soon too. Okay…my comment is turning into a post of its own! It was great to meet you, too! Thanks for coming to the conference!! It was wonderful to meet you, James, and I’m glad that you enjoyed the Dublin Literacy conference as much as I did. I look forward to the day our paths will cross again. Maybe, we will find time to talk about those teenagers of ours.